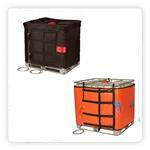 Catering for your various surface heating applications, our range of drum and container heating equipment features a selection of off-the-shelf heating appliances that have become an industry standard in the field of materials handling. - even for use in hazardous areas. 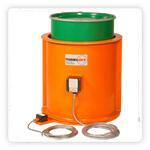 The ideal solution for heating products contained in steel or plastic drums. The drum heater jackets reduce the viscosity of materials such as soaps, fats, foodstuffs, varnishes and chemicals allowing them to be pumped or poured with ease. Providing an efficient heating system the IBC heater is ideal for reducing the viscosity of a variety of products including fats, oils and foodstuffs. 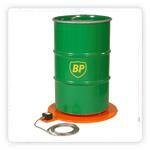 Ideal for melting or reducing the viscosity of soaps, fats, waxes, varnishes & oil based materials from the base of the drum. Can be used on their own or in conjunction with the Drum Heater Jackets or Induction Drum Heaters. Thermosafe Drum & Process Induction Heaters, in conjunction with the Faratherm Base Induction Heater is the simple and effective heating solution for hazardous areas, that require safe, efficient and maintenance free heating. Ideally suited for the warming of a variety of products including fats, oils and foodstuffs. This range of drum and container heaters include high power silicone belts, base heaters for aggressive heating, low watt density thermally insulated heating jackets for the more delicate materials, induction drum heaters for hazardous environments and also Intermediate Bulk Container (IBC) Heaters, all with thermostatic control. 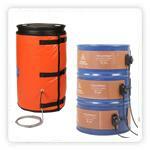 Induction heaters for drums use an alternating magnetic field to heat the meaterials: No hot spots, no maintenance! for both hazardous and non hazardous areas (Ex-rated). All our container heaters provide even heat distribution, are easy to install and present no difficulty to remove or exchange. Find more info & get a quote or contact us to discuss your specific requirements.